It's that time of year again. We cannot believe it. This year has flown by in a flurry of scheming meetings, photoshoots, flights and installations. We have of course also welcomed Rebecca’s baby boy Rocco into the world (and the office!) and one of our Senior Interior Designers is preparing to welcome her first baby in the New Year. So what better way to unwind than sitting down in front of the Christmas tree with a festive film, a hefty glass of mulled wine and starting the mountain of wrapping we have to do? 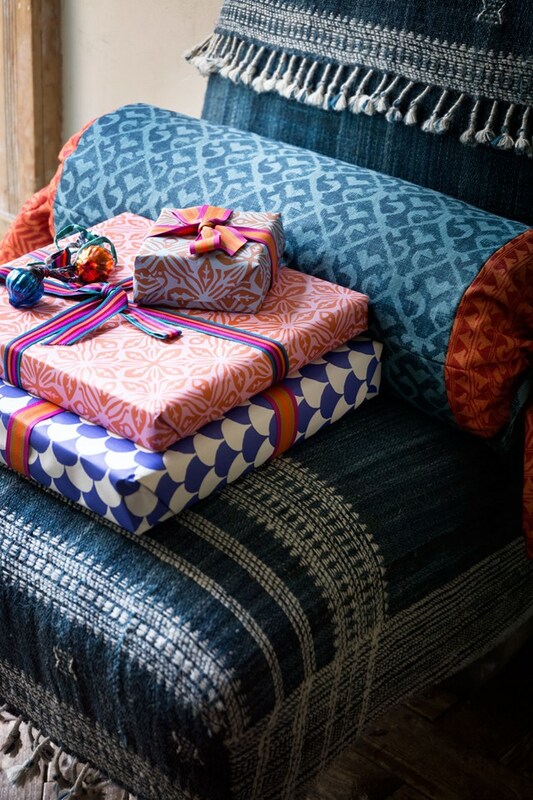 As creative people we can’t help but turn our hand to designing everything this season, including the wrapping paper. After all you put all of that time and thought into decorating the tree that the presents that sit under it are a part of this whole vision. You can have such a lot of fun with coming up with interesting and creative ways to disguise your gifts and once you have found your perfect formula its easy to repeat over and over … and over … and over! There isn’t a shortage of inspiration out there but we have chosen some of our favourites so embrace your creative side and have some fun! All images used in this post remain copyrighted to it's respectful owners and we have created click through links back to their original sources on the images.